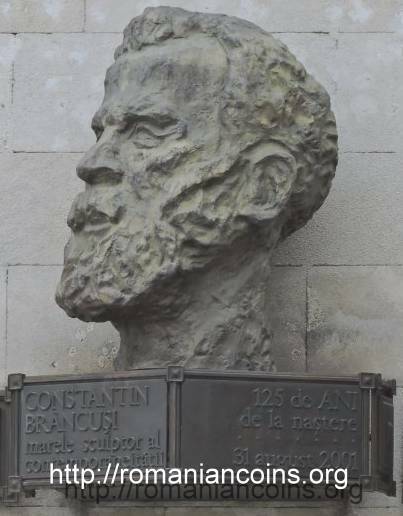 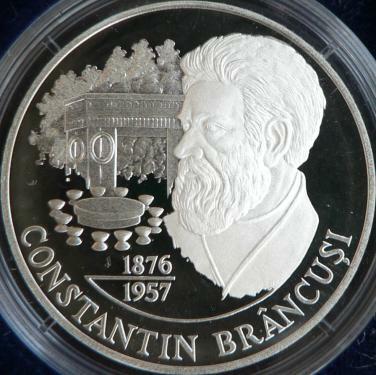 In 2001 Romania issued a gold coin of 5000 lei dedicated to the 125th anniversary of the birth of Constantin Brâncuşi. 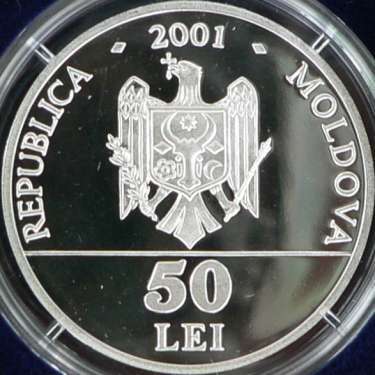 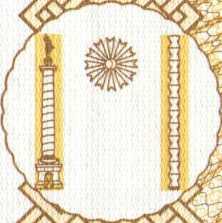 We must observe that the Romanian coin - issued on March 15th 2001 - features the Endless Column, and the Moldavian coin - issued on November 5th the same year - features the Gate of the Kiss and the Table of Silence. 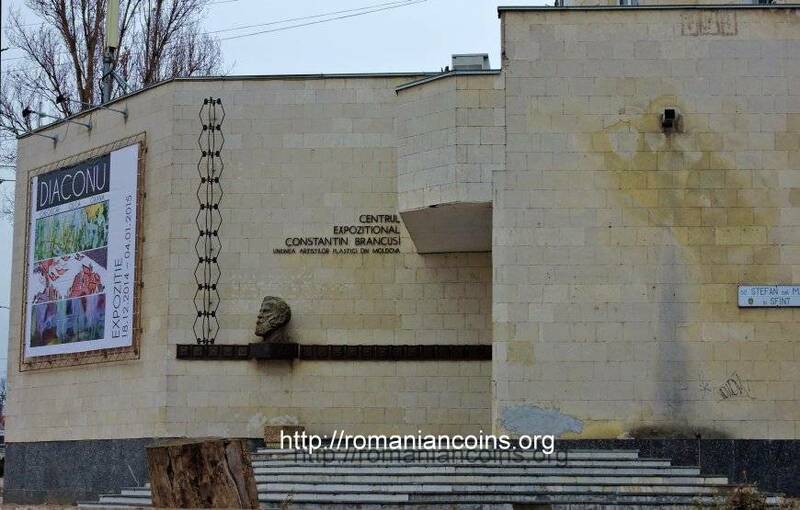 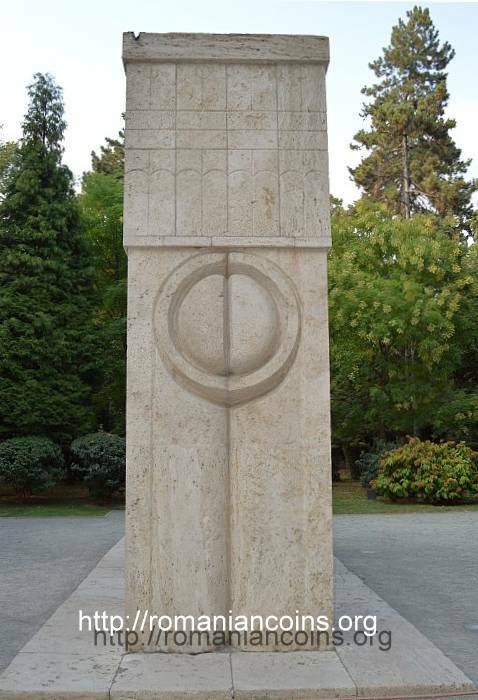 The Assembly of Tîrgu-Jiu is thus complete on coins! 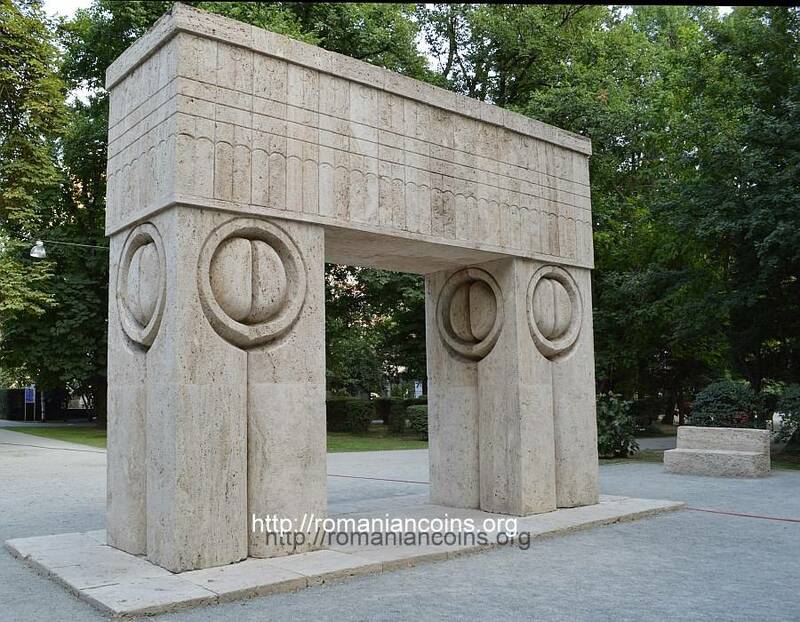 Moreover, since every circulation banknote of the Republic of Moldavia is featuring the Endless Column - as a prized symbol of Romanian aspirations toward the absolute - , we can also notice that the Assembly of Tîrgu-Jiu (county of Gorj, Oltenia) is complete on Moldavian currency!